What you want to achieve with the upcoming spawn: Do you want to breed on color, finnage, a combination of both or just for fun? When a breeder has set a personal goal he of she can look for which male and female have the desired characteristics. A fish often does not have all the characteristics you are looking for but I personally like to see this as a big puzzle in which we try to spawn two fish together which complement each others shortcomings. It is important to keep in mind here that a top quality show fish is not always a good breeder and vice versa. Trusting on the background of a fish sometimes can also be very important in selecting your breeders. 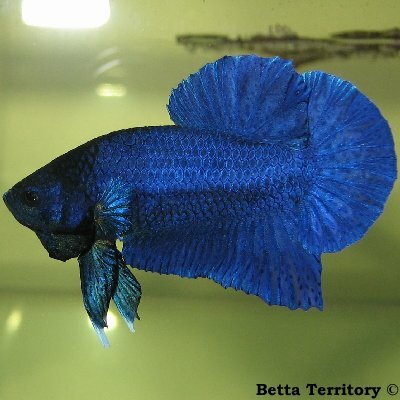 The age of the fish: There already have been reports of young bettas being able to spawn at <3 months, but personally I prefer my fish to have an age of at least 4 months before I spawn them. When you chose you pair you have to be sure that those fish are in optimal condition in order to breed successfully. Here the conditioning comes in. To promote a good condition, the fish are fed thoroughly for a 1-2 weeks with the best quality food (granulate, frozen and/or live foods). By putting the male and female in neighbouring tanks and letting them flare to each other for some short periods everyday the pair will get more familiar with each other and the egg production in the female will be triggered. How can you see your fish are in optimal breeding condition? 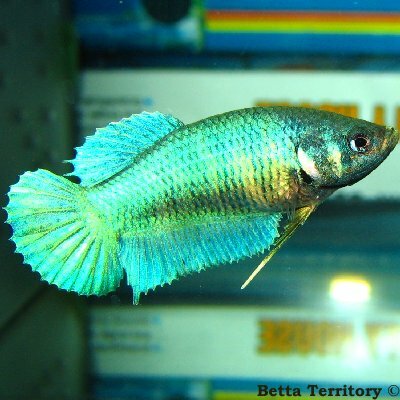 Male: Healty, active, flaring, showing full color, building bubblenests. Female: Healthy, active, full with eggs (thick body), showing vertical striping. !! Note: Light bodied females don't show vertical striping.